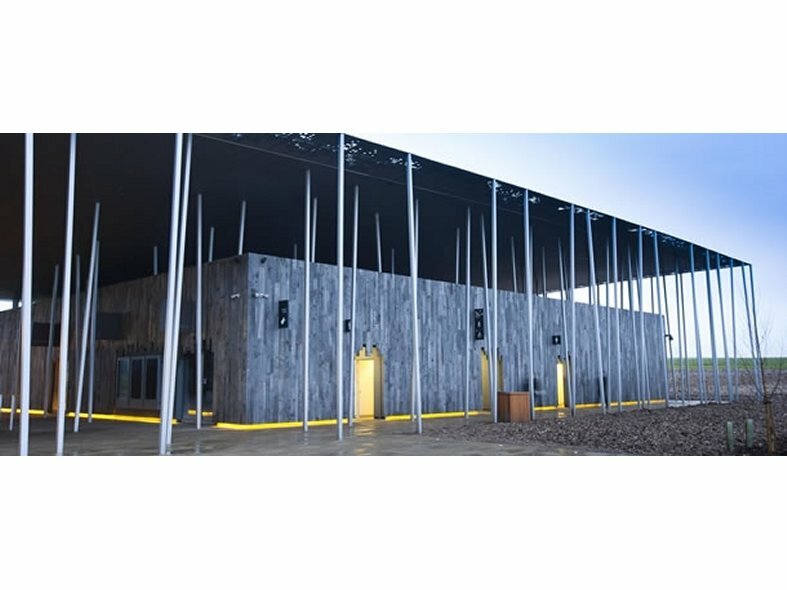 Working with Denton Corker Marshall, washroom consultants Lovair created a series of bespoke DuPont Corian® Troughs for hand washing along with all the fittings, including sensor taps, recessed Air Fury Hand Dryers and soap dispensers, in the stunning new visitor centre at the World Heritage Site. A 3.2m long, 6 user floating Corian® trough was created, weighing 92kg without any structural support in the walls. To meet the space requirements, the bespoke Corian® trough was constructed in two pieces, and then joined on site using a seamless join, so the joint line is completely unobtrusive. The support frame had to be constructed without using timber to prevent absorbing the high moisture content in a washroom and failing. To avoid the under floor heating pipes and any strain on the non supportive walls, a bespoke metal structural support frame was designed, enabling the sink to be fully cantilevered, and self supporting. The support frame had to be constructed without using timber to prevent absorbing the high moisture content in a washroom and failing. 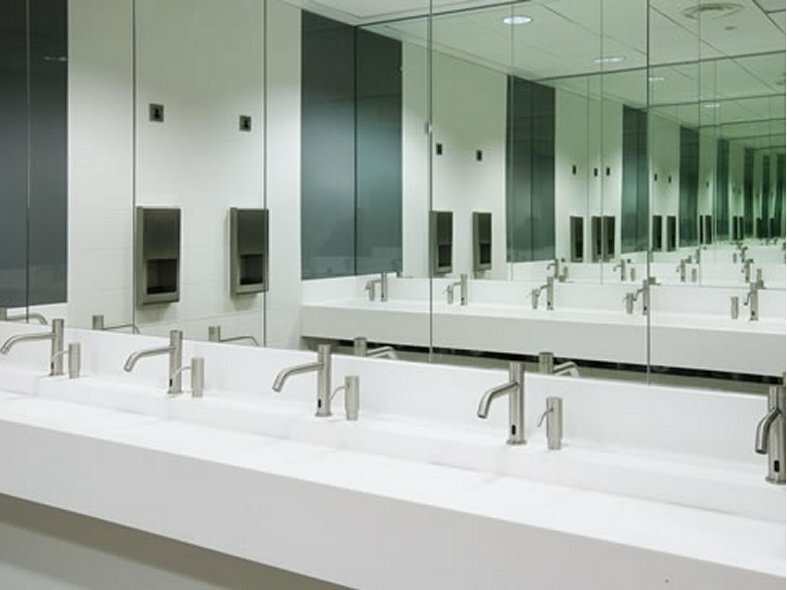 Corian® access points were required to achieve building code regulations within a minimalist room design, as site access hindered transporting the 3.2m Corian® trough into the washroom. 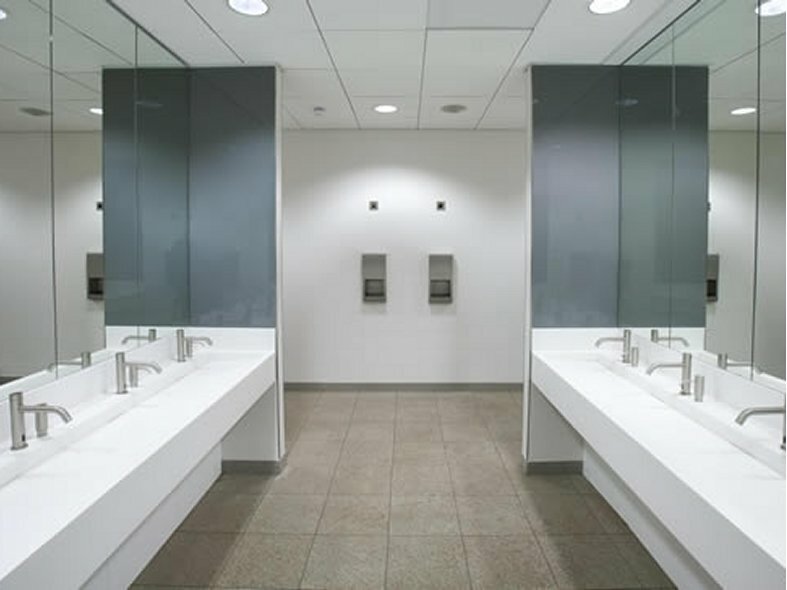 Lovair is a global company with over 20 years of experience in supplying the construction industry and architectural practices with unique washroom fittings.